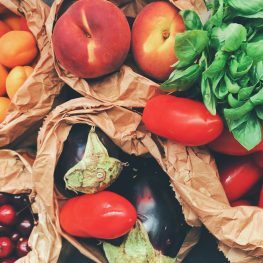 Top 5 areas Data Science techniques can be applied in enabling companies to bring the freshest food to the customer. IDEAS & Data Application Lab co-host this live webinar. IDEAS is a global nonprofit organization that is dedicated to fostering the data engineering and data science ecosystems and broadening the adoption of their underlying technologies to accelerate the innovations data can bring to society. Our goal is to create a community to connect AI, Blockchain, and Data Science enthusiasts. All of the conferences that IDEAS host will demonstrate cutting-edge technology and feature a variety of AI, Blockchain, and Data Science experts covering topics including industry trends, real-world applications, open-source software, solutions-based case studies, and many others. As the CTO and Principal Data Scientists at DIVERGENCE.ai, Vish helps companies incubate Data Driven teams centered around Logistics, Marketing, Food Packaging, Fraud Detection, and Food Safety. As the Director of Data Science Programs at Divergence Academy, he teaches and continuously evolves the curriculum for Data Science on Big Data/Cloud based on feedback from various consulting engagements and market research. In this talk, we’ll cover the various fields in Data Science that apply to Food Packaging and Freight Logistics, and then present the top 5 areas Data Science techniques can be applied in enabling companies to bring the freshest food to the customer.The rise and fall of ICOs in 2018 paved the way for a new type of fundraising mechanism: the security token. Like “smart stocks” on the blockchain, these tokens can be used to raise capital for new blockchain projects and companies. Over 100,000 blockchain investors trust Sir John Hargrave — publisher of the industry-leading Bitcoin Market Journal — who will explain security tokens in plain language, for both investors and entrepreneurs.